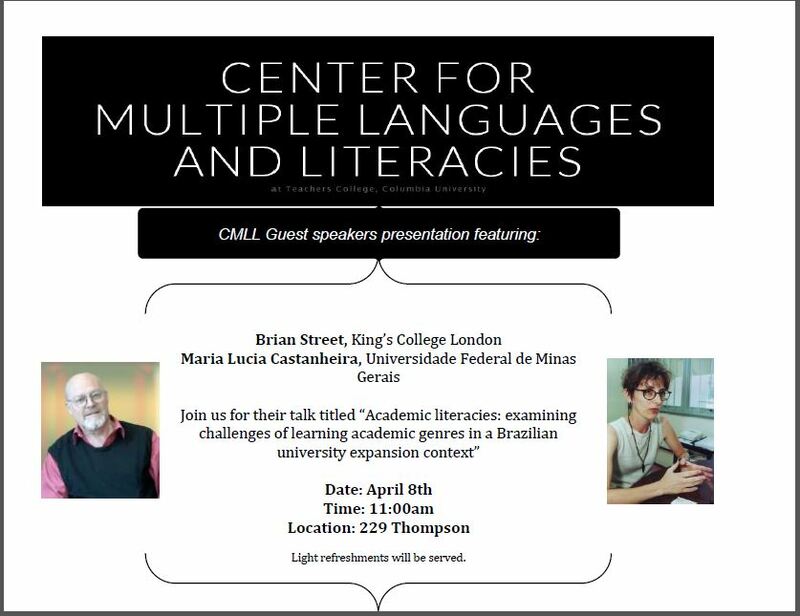 Please join us to for guest speaker Amy Jo Dowd’s talk about the Literacy Boost program which engages the broader community in helping young children learn to read both inside and outside the classroom. 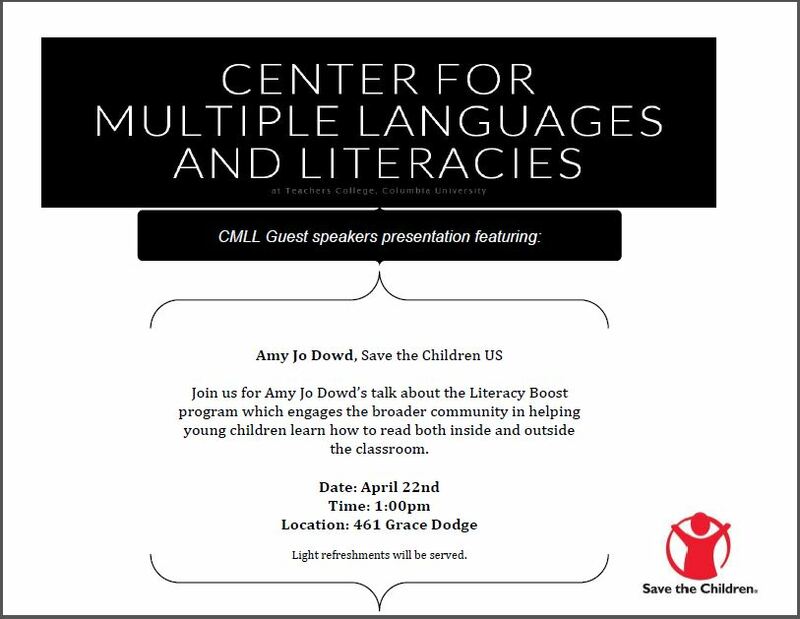 Amy Jo Dowd received her EdD from Havard University Graduate School of Education and is currently the Senior Director, Education Research at Save the Children US. 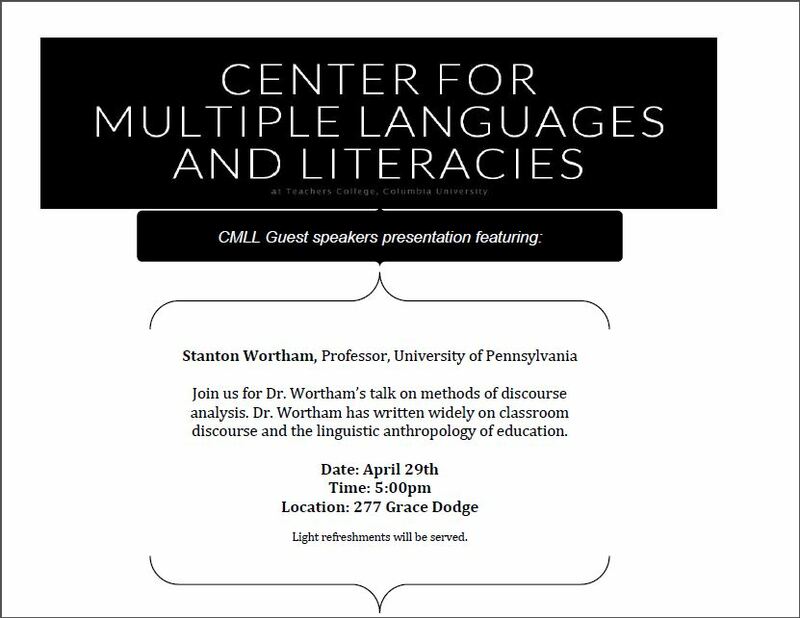 April 22 from 1:00-2:40 pm in Grace Dodge 461.